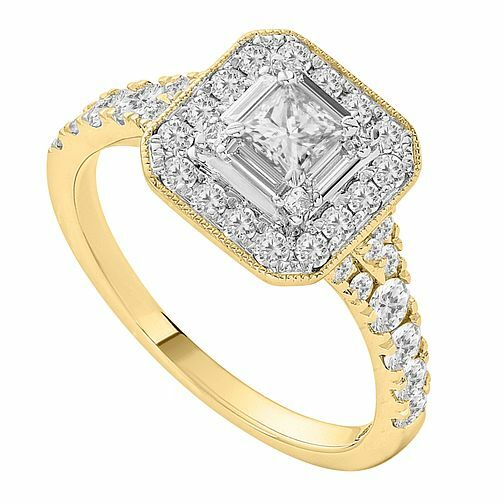 This captivating diamond ring is composed of gorgeous 18ct yellow gold. With diamonds totalling one carat, this sparkling ring features a princess cut 0.23ct dazzling diamond, complimented with stunning baguette cut diamond clusters. An enchanting and elegant ring, set to shimmer from every angle.